The Argentinean UFO community is saddened by the passing of researcher Liliana Flotta on Saturday, November 2. 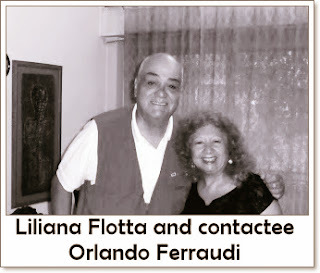 INEXPLICATA readers came to know her through her sterling work in the research of the Orlando Ferraudi contactee experience(http://inexplicata.blogspot.com/2013/02/old-school-1956-ferraudi-contactee.html)and earlier works we had the pleasure of making known to English-reading audiences. She is survived by her husband Eduardo Grosso, who was also her companion in research. Our deepest sympathy to her friends and family.